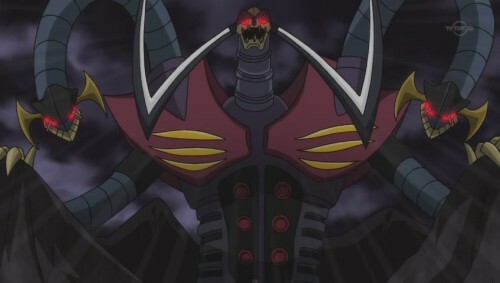 For the Reverse Thieves’ second Speakeasy Podcast they compared Gurren-Lagann and Shin Mazinger, discussing why the former has a much more universal appeal among current anime fans than the latter. One of the topics that interested me was the false assumption that if a person likes Gurren-Lagann then the next step is Shin Mazinger, or similarly that if a person likes Gundam W that they will like the original Gundam as well. I thought of an analogous situation which I think sums up this problem quite well, and I wanted to have it on-hand and on-blog. So consider, if you will, the following hypothetical conversation. The person recommending Corn Flakes has his heart in the right place, but doesn’t realize that the reason why the other person likes Frosted Flakes so much might be mainly because of the sugar frosting, i.e. everything that Frosted Flakes have that Corn Flakes do not. Reducing things down is not the answer for everyone, and just like Frosted Flakes vs Corn Flakes, I think people enjoy the total package of Gurren-Lagann, making it difficult to sell some fans on the idea of Gurren-Lagann stripped down to its bare essentials. 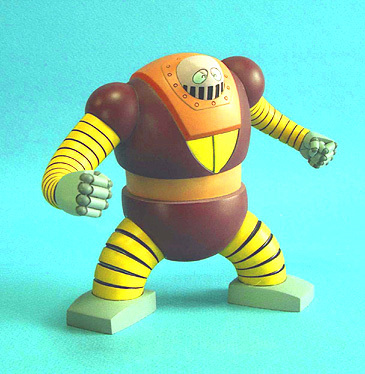 One of the most amazing and shocking reveals in the world of giant robot villainy was the discovery that Mazinger Z’s infamous first two adversaries, Garada K7 and Doublas M2, were actually once a single sentient entity known as Garadoubla. Garadoubla turns out to be a heroic figure to the Mycenae and also a warrior of honor and pride (and also three heads). In fact, he was so beloved that they referred to him as the Hero Garadoubla. Thanks to extensive research, I have unraveled more information on this god of the Mycenae. Ga Ra Ra! Ga Ra Ra! Garadoubla! Ga Ra Ra! Ga Ra Ra Ra Garadoubla! According to records, the heroic tales of Garadoubla, the honorable warrior of the Mycenae, were recorded on ancient illustrated stone tablets by a well-regarded artisan known as Gonagacles. Sadly most of his work was destroyed in the great fire that exterminated the Mycenae Empire, but the memories of his adventures would remain in the Greek consciousness and would eventually be retold as Garadoubkaisar and Etumos Garadoubla. Anime Weekend Atlanta has announced that one of their guests of honor will be Imagawa Yasuhiro, acclaimed director of the Giant Robo OVA and the currently-running Shin Mazinger TV series. AWA is running this year from September 18-20. Meanwhile, New York Anime Festival, running September 25-27, has already announced famed Gundam creator and director Tomino Yoshiyuki as its guest of honor. If you’re a fan of giant robots and you don’t have the time or resources to go to both, this can be a very painful decision to make. To help you with your dilemma, try asking yourself the following two questions. Question 1: Do you love Gundam? Question 2: Do you love G Gundam even more?